875 USD(for up to 6 people) (duration: 7 hours) deposit ? Kid Friendly: Yes. Games for kids with prizes included. Must be able to board two steps onto the bus. 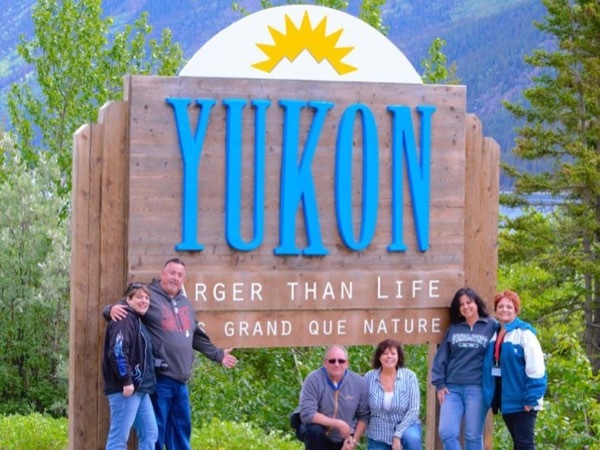 Visit the Yukon's Natural Wonders! This excursion begins with a city tour through the Historic Downtown District before traveling over the rugged coastal mountain range where we will see glacier fed waterfalls amidst the temperature rainforest. Once we make it over the pass we enter British Columbia and travel through a 300 year old forest in Tormented Valley. 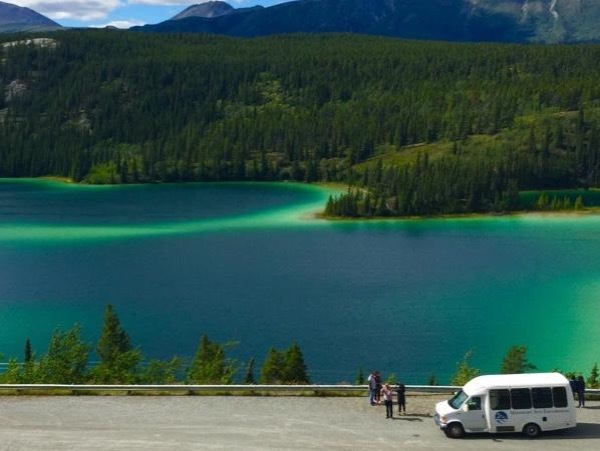 We then journey through the Southern Lakes region to the native village of Carcross and on to explore two of the Yukon's Natural Wonders; The Smallest Desert in the World and Emerald Lake. Photo stops include Pitchfork Falls, Bridal Veil Falls, Welcome to Alaska Sign, Tormented Valley, Tutshi Lake, Welcome to the Yukon Sign, Carcross Desert and Emerald Lake. There is always an opportunity to see wildlife such as Bear, Mountain Goat, Moose, Marmot, Lynx and Ptarmigan. Everyone will have the opportunity to drink ice cold glacier water from their free souvenir cup! Optional additional stops include Tutshi Sled Dog Camp, gold panning and the Yukon Suspension Bridge. Up to 6 people. We will be traveling in a roomy, clean and comfortable 2006 Ford StarCraft Mini-Bus with large viewing windows, PA System, air-conditioning, heat and easy access. Vehicle is DOT certified, licensed and insured. Minimum time needed for booking is 5 hours. Our family loved our day with Raymie. She had great stories to tell during the drive, and allowed us to customize our stops for two young kids. Because she's a local guide, she could share stories with us about life in Alaska that a seasonal guide wouldn't know. It was one of those days we'll remember.